Date: Monday, 25th May 1987. Competition: Second Division Playoff Final Second Leg. Score: Leeds United 1 Charlton Athletic 0. 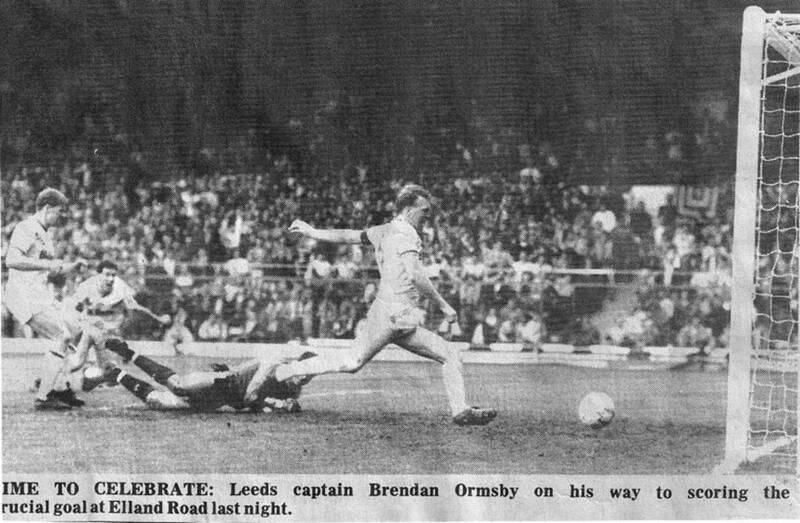 Scorers: Leeds United: Ormsby. 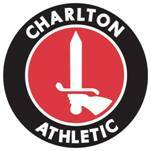 Charlton Athletic: Nil. 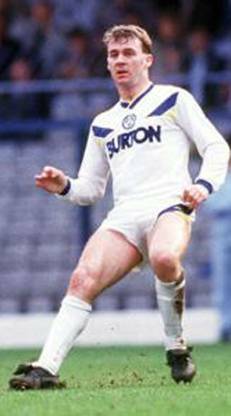 Leeds United: Day; Aspin, McDonald; Aizlewood, Ashurst, Ormsby; Ritchie (Edwards), Sheridan, Taylor, Baird, Adams. 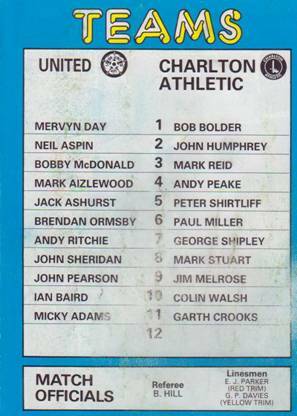 Charlton Athletic: Bolder; Humphrey, Reid; Peake, Shirtliff, Miller; Gritt, Lee, Melrose (Stuart), Walsh, Crooks. 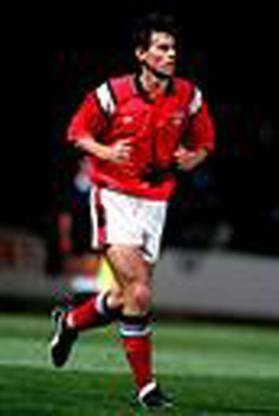 Referee: Mr. B. Hill (Leicester). 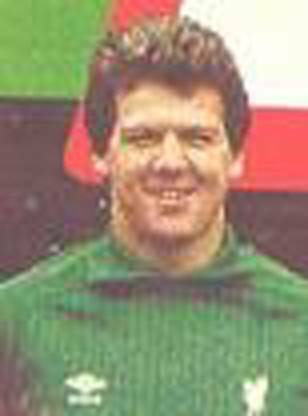 Bremner's boys went into the return leg of the Final full of belief that they would be able to overcome their one-goal first-leg deficit. This was the clash the Leeds public had waited for. Only ninety minutes and two goals stood between trips to Shrewsbury and a return to Old Trafford and Anfield. Naturally it was tense, nervy and fraught. The quality of football was poor and neither side was prepared to give anything away. Charlton were determined to protect their lead, Leeds desperate to force their way back in. Chances did fall at either end, but Leeds slowly gained the upper hand and, midway through the second half, it happened. 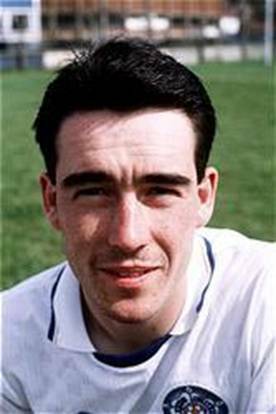 Bob Taylor fired towards goal and with the ball trickling over the line, skipper Brendan Ormsby popped up to make doubly sure. The scores were level overall and everything to play for. Elland Road erupted. 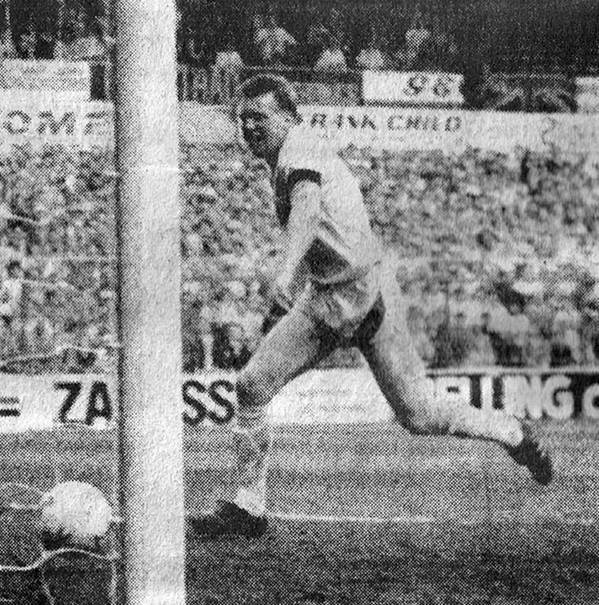 The crowd turned the volume levels up as Leeds pressed for a second, but the clock ticked down and, with the score at 1-1, honours in the first ever play-off Final ended even. 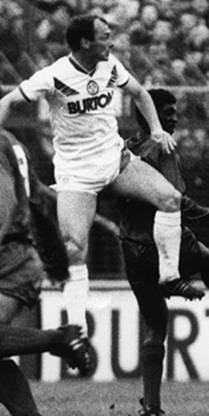 Although they beat a Charlton Athletic side fighting for their First Division life in this game, Leeds United were still tantalizingly at least ninety minutes from a return to the big time. 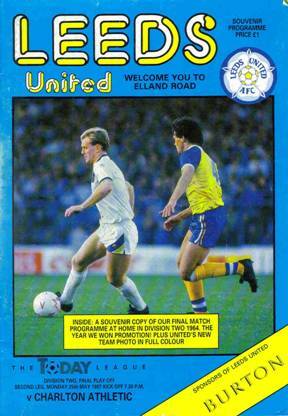 They won in front of Elland Road’s top crowd of the season of 31,395 with a goal engineered by their twenty-year-old striker Bob Taylor and bundled over the line by the captain Brendan Ormsby in the fifty-fourth minute. But that only leveled the aggregate score in the play-off final for the last place in Division One for the next season and so the sides had to meet for a final showdown at St Andrew’s Birmingham on the following Friday. It was a tough unrelenting game on the night, spattered with bad temper, some hard-to-understand decisions and plenty of muscle and effort from both sides. But few will forget the highly charged night. You could almost taste the tension. 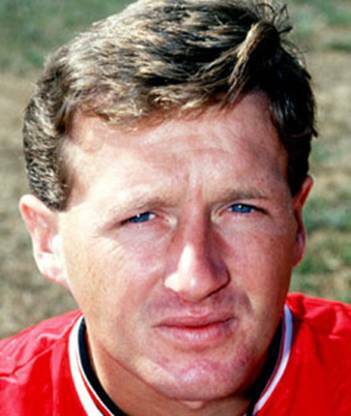 Bob Taylor, who was playing in Non-League football with Horden Colliery Welfare in the North East only Eighteen months previous, seized onto the loose ball after Mark Aizlewood had rifled a shot towards goal from twenty-five yards, after pouncing on a half-cleared corner. 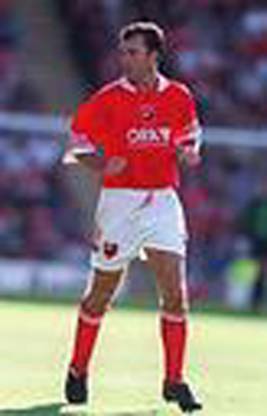 The drive cannoned off a Charlton defender and as Taylor bore down on goal twelve yards out Charlton’s captain Peter Shirtliff’s tackle sent the youngster spinning. For a moment it seemed there might have been a penalty, but the ball was already on its way into the corner of the net from Taylor’s nudge forward and there was Brendan Ormsby to finish it off. The crowd responded with a wall of sound and Leeds had Charlton rocking. 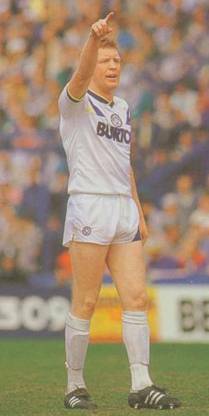 In fact the mood was set long before the kick-off, the old Leeds songs were trotted out on the loudspeakers and the happy crowd produced their version of the Mexican wave. But Charlton quickly subdued the enthusiasm with an opening which started to sow seeds of doubt in the minds of some of the big crowd about whether Leeds could overcome a First Division side already a goal up from the first leg. Quick corners saw both Colin Walsh and Peter Shirtliff almost claiming goals from inside the six yard area. 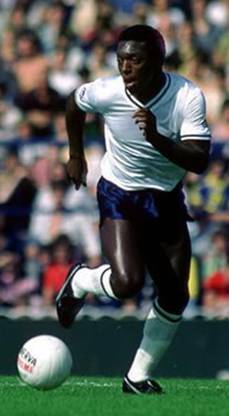 Then in the tenth minute Walsh’s free-kick from the left found Garth Crooks and Mervyn Day did well to get down quickly on the header. 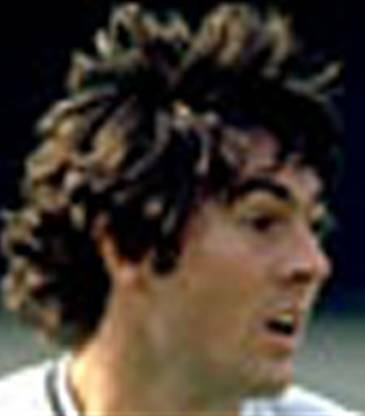 Charlton had quickly made out a strong case and with Leeds missing the injured John Pearson, they had sent out an SOS for Taylor to return from the North East to add to his handful of first team appearances, the task ahead began to look more and more difficult. 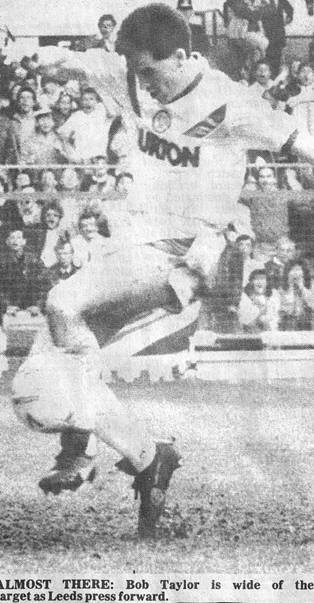 A bending twenty-five yard free-kick from Colin Walsh was pulled down by Mervyn Day but as the half hour approached the high stakes and tension of the affair saw the game turn ugly for a five minute spell. 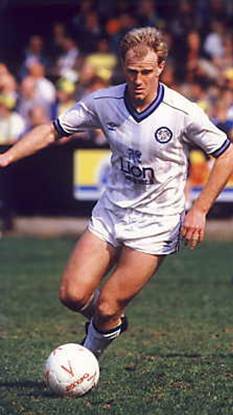 Mark Aizlewood got his second booking of the tie when he clashed with Paul Miller and in the thirty-fifth minute after some frenzied moments Billy Bremner the Leeds Manager left the dugout to wave his protesting and finger-wagging players from the presence of Bob Nixon, the referee. But Bremner did not leave the scene before exchanging words with the official. 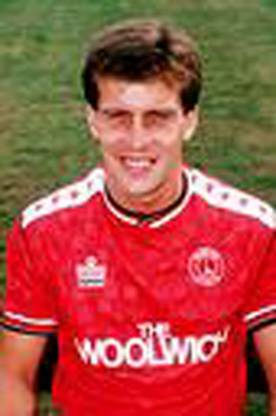 The flare-up came after a strong aerial challenge between Ian Baird and Robert Lee which left the Charlton midfield player face down on the pitch and saw Baird’s name go into the referee’s notebook. Sandwiched between the two cautions Leeds had their best chance of the half to level the aggregate score. 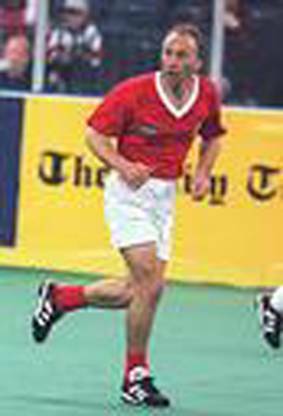 Bobby McDonald’s centre found John Sheridan after Ian Baird and Bob Bolder had disputed possession. 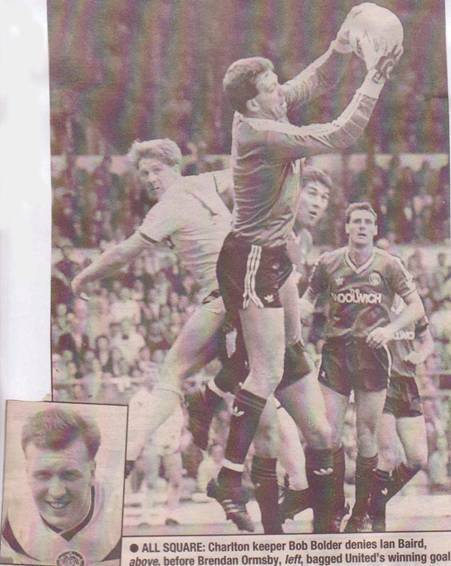 John Sheridan landed the ball on the cross-bar, but Bob Taylor could not make contact from close in on the rebound. But if Charlton finished the first half having responded better to the atmosphere and looking twice the side they appeared in the first leg, Leeds grew in stature throughout the second period. 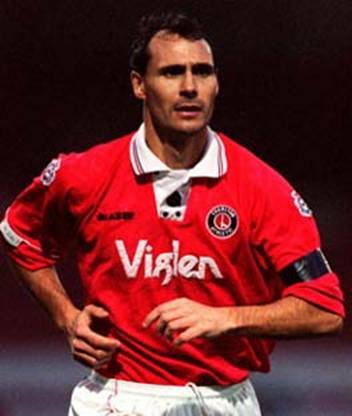 After the goal they pushed on hard to try and settle it and just before the hour a last ditch header from Peter Shirtliff saved Charlton as Ian Baird challenged him twelve yards from the net as the pair went for Bob Taylor’s nudged on pass. 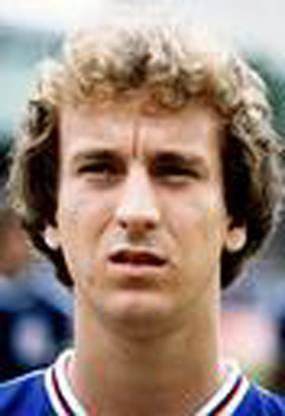 Leeds sent on Keith Edwards whose late goals in the semi-final had given them their chance in the final, but it was Charlton who finished the game more strongly. In the last twenty minutes they collected nine of their thirteen corner kicks as they examined the Leeds defence closely. 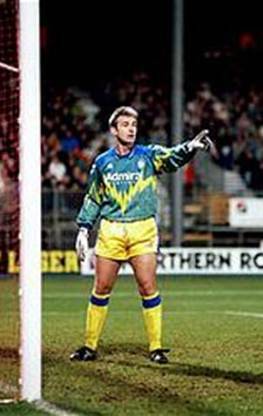 Leeds stood the test well and in fact the best opening of the closing moments came when Jack Ashurst punted the ball up-field for Keith Edwards to try an acrobatic over-the-shoulder shot which dipped but not enough to creep into the net.